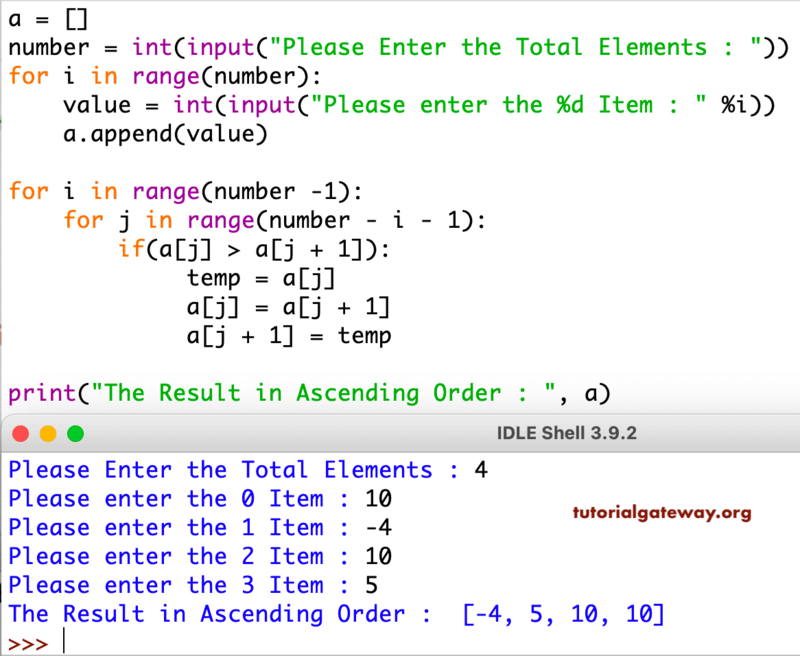 In this article, we will show you, How to write a Python Program to Sort List items using Bubble sort with practical example. Here, we are using Nested For Loop to iterate each and every element in a given List. Inside the loop we are using If statement to sort items in an ascending order using Bubble Sort. Now the List will be -4 10 10 5. This is same as the first example, but we separated the logic to sort list elements using Functions.